Are you a fan of Candy Crush Saga game? Do you want to play on the Kindle Fire HD? Many users have been recently frustrated by a lack of a way to play the game on the Kindle Fire HD, but we are here to help with step-by-step instructions! 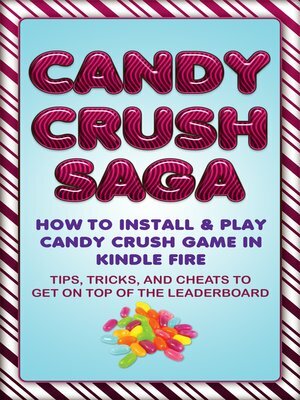 With the latest guide, Candy Crush Saga: How To Install & Play Candy Crush Game In Kindle Fire : A Simple Guide,Tips, Tricks & Cheats To Ace Candy Crush Saga Today! you'll get instructions for setting up or installing the game on Kindle Fire HD, iPhone, iPads, Android devices and/or on your Facebook and helpful tips, tricks, and even some cheats to help you pass your friends on the game, achieve high scores, and get to higher levels. Please note: This is an eBook and not the Candy Crush Saga game. This book is for helping individuals to use and play this fun game, but the authors are not affiliated with the game makers.